A new high-resolution portable counting scale that stabilizes rapidly, has a large LCD display, 30 item parts library, and offers multiple connectivity options has been introduced by Alliance Scale, Inc. of Canton, Massachusetts. The Alliance OHAUS Ranger® Count 3000 Counting Scale is a compact unit with a built-in carrying handle and rechargeable battery which can operate for over 210 hours between charges. Featuring fast, accurate, and easy opera-tion, it stabilizes within a second and has bright LEDs to indicate when the preset weight or part count has been reached, tracks throughput over an entire shift, and has a 30 item library that handles 12-digit part numbers. 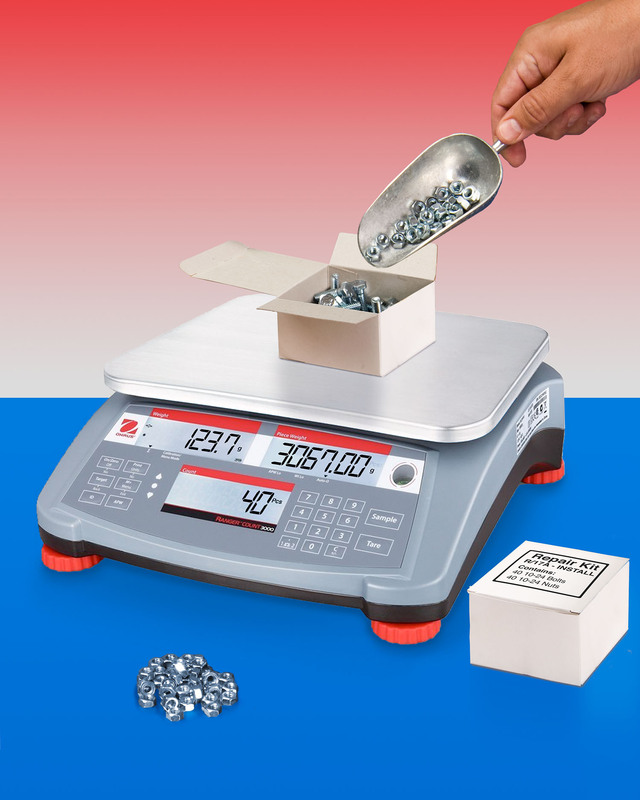 Providing a standard RS232 port with optional Ethernet, second RS232 or USB port, the Alliance OHAUS Ranger® Count 3000 Counting Scale is equipped with APW software which recalculates the average piece weight as the overall weight increases. Internal resolution is 1:1,5000,000, display resolution is 1:30,000, and it exceeds Class III accuracy per NIST Handbook 44. The Alliance OHAUS Ranger® Count 3000 Counting Scale sells for $595.00. and can be ordered with a 3, 6, 15, 30, or 60 lbs. capacity.